Posted on 11th April 2019 at 12:03 pm. We love helping our clients exhibit at sports and fitness shows. 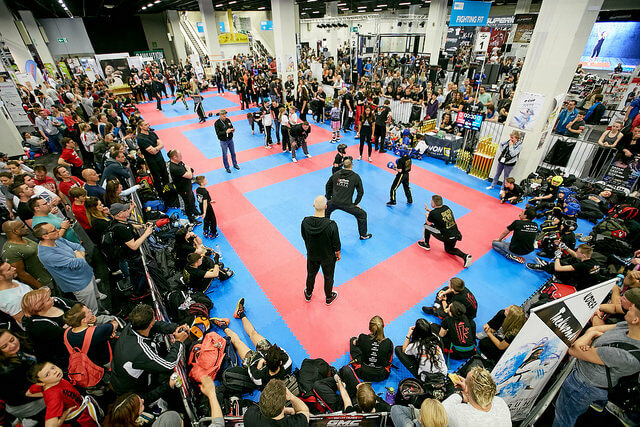 The events are some of the most interactive on the entire trade show circuit, often featuring live group workouts and plenty of nutritious snacks to try! The social change in attitude towards personal health and fitness has rippled through the industry and created a culture of both fun and innovation. Our team of exhibition stand designers Birmingham have been lucky enough to help lots of our clients exhibit at these events and experience their dynamic nature first-hand. I asked them what their favourites were. First up is Bodypower with their focus on strength, power and mass. 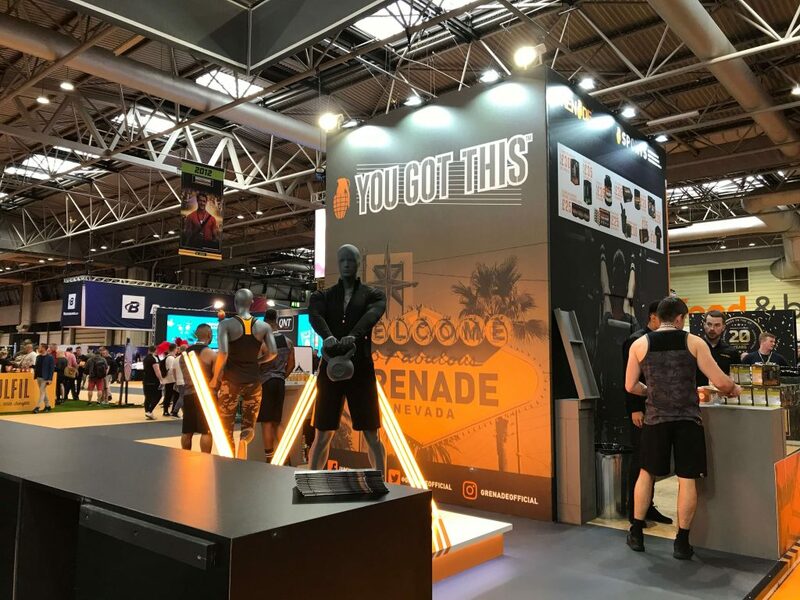 The expo is held at the UK’s largest exhibition centre, the NEC, and brings a variety of exhibitors including suppliers of gyms, muscle food and even competitions. Most noteworthy is their Strongman competition which is the biggest and best amateur edition of its kind; a highlight of the weekend. 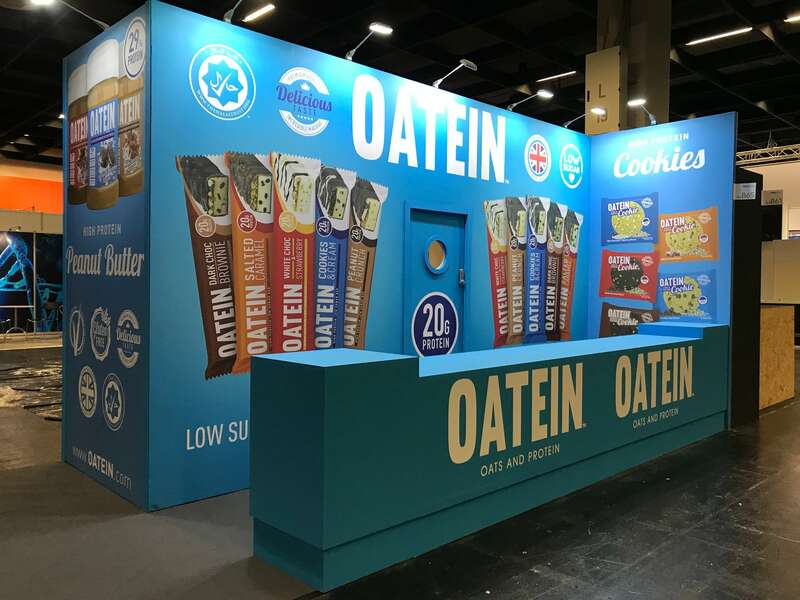 We’ve built and installed stands for Oatein, Grenade and Tropicana Wholesale at this impressive event. In contrast, FIBO takes a more holistic approach, showcasing the latest brands from most areas of sports, fitness and wellness. Taking place at the Exhibition Centre Cologne it’s an unmissable event and the world’s biggest trade show in its arena. FIBO combines the best new and inventive suppliers in the field alongside household names, presenting an ideal mix of potential connections. 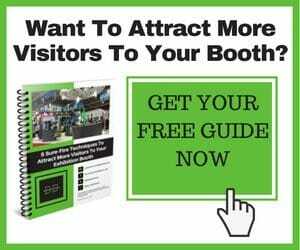 Call us today if you’re ready to take the leap and exhibit at this global event. Finally, we’ve chosen Move It as part of the top three, a sports and fitness show that puts rhythm at its core. The world’s biggest dance event sees 30,000 learners, teachers, artists, studios and brands descend on the ExCeL centre in London. The result of this is a high-spirited event that’s centred on education, inspiration and learning. Exhibitors range from dancewear suppliers to universities and colleges. 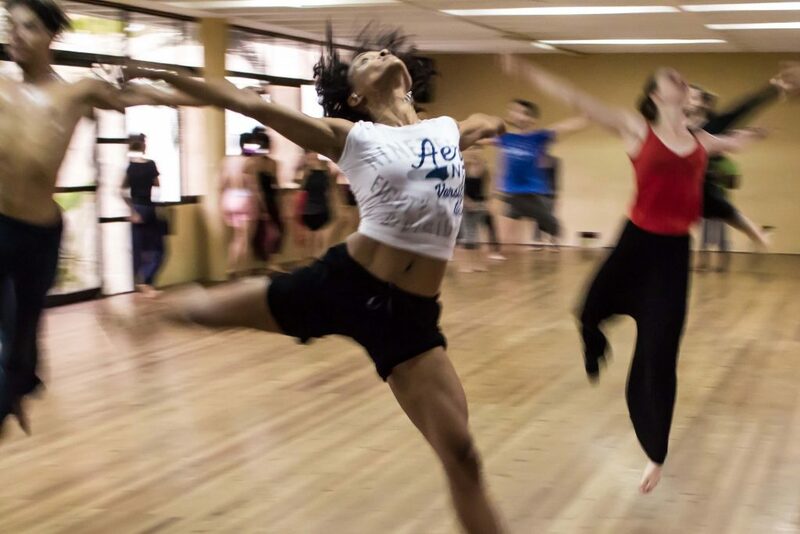 This is where to take your dance brand centre stage. A bespoke exhibition stand can help you stand out and make an impact at these popular shows. We’re passionate about designing and building bespoke exhibition stands that help you achieve your trade show objectives. Contact us today for a quote.